You are here: Home / All posts / DevoManc: does the future of health and social care start here? Devolving health and social care in Greater Manchester is an attractive idea. But will the practical challenges undo it ask Kath Checkland, Julia Segar and Anna Coleman. Devolution has been coming to Greater Manchester (GM) for some time. The recent announcement that the total health and social care budget for GM – £6bn – is to be included as part of the devolution settlement has galvanised interest across NHS organisations, the social care sector and the academic community. So what is coming? The Memorandum of Understanding signed on 27 February sets out the principles for GM health and social care devolution, but the details remain to be finalised. There will be an over-arching Strategic Health and Care Strategy Partnership, consisting of the ten GM local authorities and the 12 local Clinical Commissioning Groups (CCGs). There will be an elected Mayor, whose powers will be carefully designed to ensure a close fit with the rest of the system. A Joint Commissioning Board will sit beneath the Strategy Partnership, bringing together CCGs, local authority commissioners and NHS England. There will be a Providers Forum, bringing together the significant local primary, community and mental health providers with their social care provider colleagues. The whole will be underpinned by a set of principles which include the encouragement of innovation and the development of new service models, paid for through new payment systems that are yet to be fully developed. Against this background, the Health Policy, Politics and Organisation group (HiPPO) within the Centre for Primary Care hosted a seminar with speaker, Ged Devereux, health improvement manager with GM Public Health England. Ged has years of experience in Manchester local government and a deep knowledge of the local health and care system. The modest audience originally expected for this seminar swelled in number following the news of the outline devolution arrangements. Ged addressed a diverse audience from across the university and ably summarised the history of joint GM working, the local health and care challenges and the strategic aims of the devolution settlement. First, the context. Inhabitants of other cities in other regions must be asking: why them and why now? GM has a long history of collaboration across the ten local authorities. Starting with the creation of the Association of Greater Manchester Authorities (AGMA) in the 1980s, significant successes include the development of Metrolink, the establishment of Greater Manchester Transport and collaborations around housing, employment, economic development and troubled families. Subsequently, the Healthier Together programme has brought together health commissioners and providers across GM to work together to rationalise services. This deep history of collaboration forms the platform upon which the devolution settlement is based. The challenges facing GM are as deep as the collaborative history. These include poor health outcomes, short life expectancy, how to treat long term conditions and marked inequalities within the region: Manchester sits at the bottom of an embarrassingly large number of league tables. Healthcare cannot take all the blame for this, as many of the causes are deeply rooted in a history of deprivation, worklessness and entrenched behaviours. It is the very multi-factoral nature of the problems that points the way towards the proposed solution: healthcare alone cannot tackle the consequences of deprivation: investment in housing and support for employment are necessary parts of the equation. The final spur to do something different comes from the finances. In common with all local authorities and all local health economies, GM can see a crunch coming. NHS trust deficits are worsening and health costs continue to rise. In this context, the architects of the devolution agreement argue that focusing upon the antecedents of poor health is not just the right thing to do: it is the only thing which holds out the hope of balancing the books. None of this will be easy. Our experience of more than a decade of research focusing upon NHS reorganisation and wider system development leads us to focus on three challenges. The speed of change is breath-taking. All of the new organisations will be up and running by April 2017, with commissioners and providers expected to start now developing new ways of working together. There is a need to get ‘buy in’ from grass-roots providers of health and social care and from the public. The agreement has, by necessity, been made at a high level between those accustomed to working together. But the delivery will depend upon the actions of multiple local providers of care, including independent contractors through a national contract. Ensuring that those delivering care work together effectively across boundaries points to an urgent need for a comprehensive programme of communication and consultation. Local people have previously shown little appetite for the concept of an elected Mayor; engaging them in the choice of local leader will be a crucial test of the settlement. In politics, good ideas are often undone by practical challenges. And DevoManc’s responsibilities for health and social care will be faced by severe challenges. Julia was a Research Fellow in the Centre for Primary Care in the Institute of Population Health, at The University of Manchester where she has worked on a range of projects. Sadly Julia passed away in 2017. 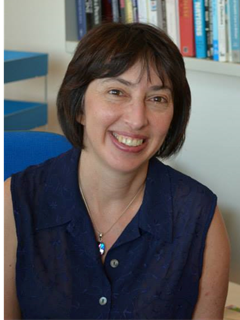 Dr Anna Coleman is Senior Research Fellow at the Centre for Primary Care in the University of Manchester's Institute for Population Health. Will new wave bring a tide of progress for public health?